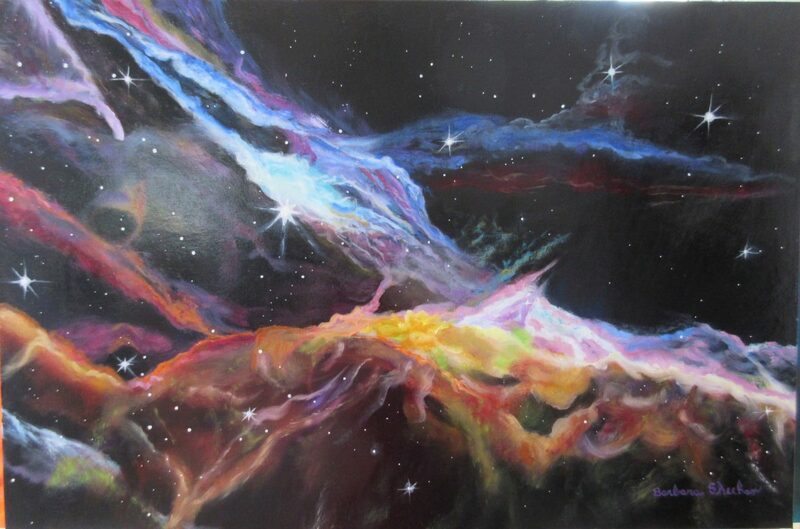 This was my third painting in the series of art , “Nebula Art”. It was featured on the Facebook page of the Hubble Space Telescope in February 19th of 2016 . It is oil on canvas, 24 x 36 inches, painted in 2015. I loved painting this, mixing and blending the oils to try to capture the dark and light and translucency of the original Hubble image.